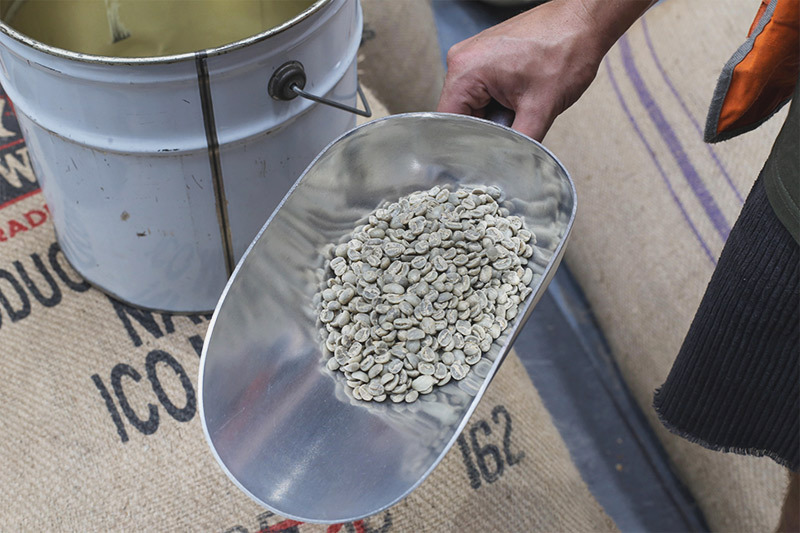 This reserve origin holds a special place for our Head Roaster Ed, who was part of the Guatemala CoE judging panel that awarded it 3rd place last year. We gave him carte blanche on the topic of this post, so we’re talking about variety, folks. Ed found this competition to be the ultimate lesson in the importance of variety. 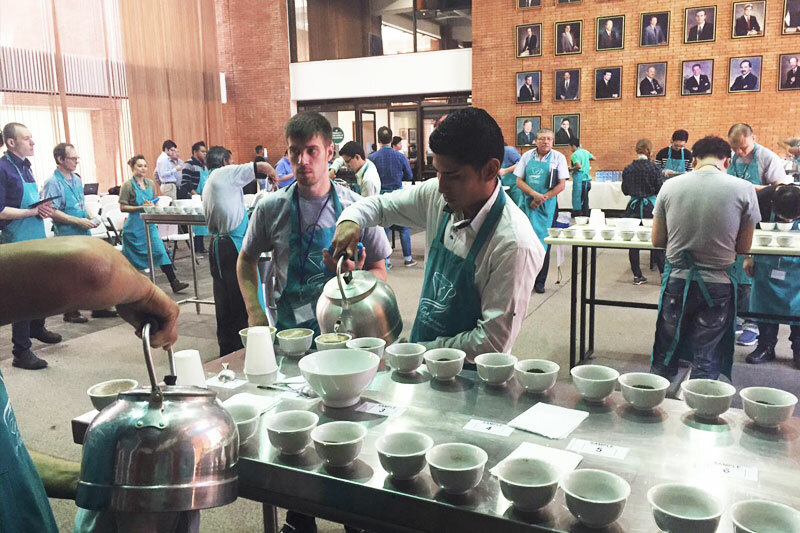 Before the comp began, the judges did a major calibration day that included pure variety cupping. Tasting the very best examples of different varieties, with a head judge who had already been at it for three weeks, they were forced to open their palates – and their minds! They came to embrace different ideas like the savoury note of onions sometimes associated the pacamaras variety. There was even a coffee that was thought to taste like french onion soup; sure, it might not float every boat, but you gotta agree that it’s phenomenal to get such a flavour purely from coffee. So what’s so special about the El Soccoro? 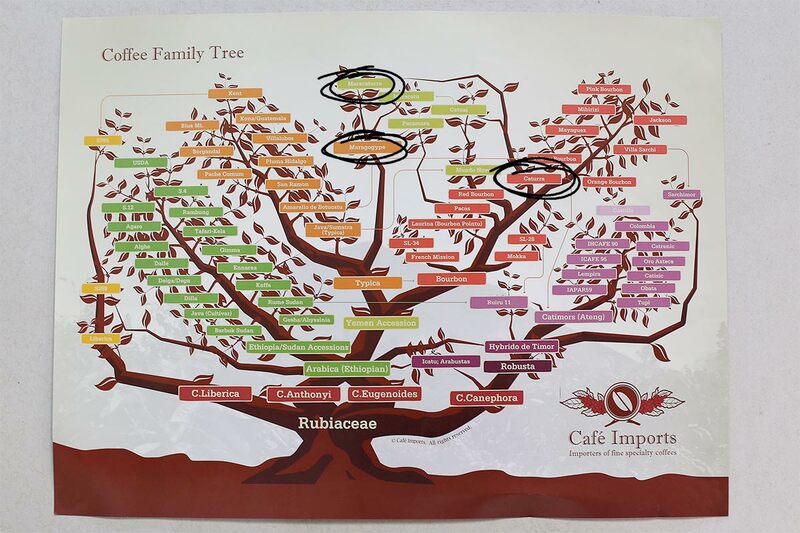 It’s a Maracaturra variety, which is a cross between Maragogype (a mutation of Typica) & Caturra (a mutation of Bourbon). This love child has inherited both Maragogype’s larger bean size & Caturra’s remarkable sweetness. It’s fairly new but already a bit of a darling of the specialty coffee world & El Soccoro’s present & past success at CoE is testament to this – having pulled in 3rd place in 2013, 2nd in 2012 & 1st in 2011. Originally, El Soccoro was part of Hacienda San Guayaba, changing hands in 1968 when Dr. Mario de la Cerda & wife Maria Colom de la Cerda purchased it. 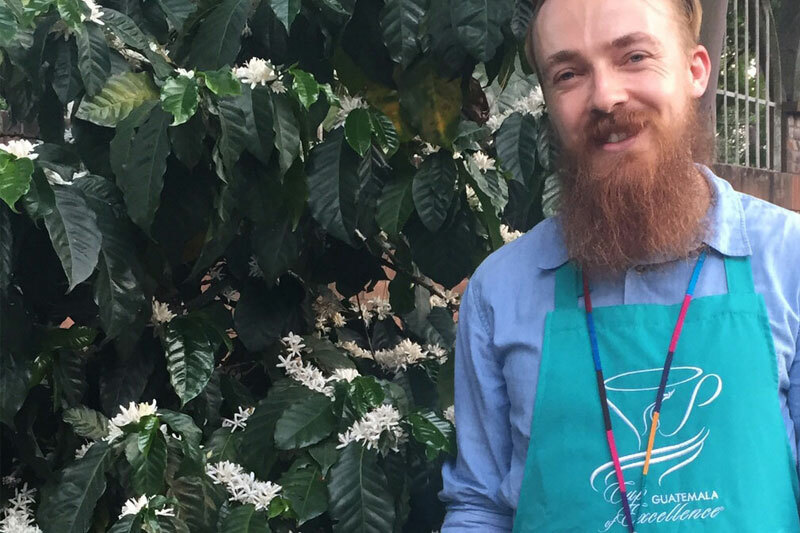 12 years later, their son Juan de la Cerda Colom began to plant coffee, and today he and his son – Juan Diego – are producing some of the best Guatemalan coffees. They credit their history of success to strict quality control throughout every process from start to finish. Despite blind cupping, Ed remembers noting this coffee every round for its transparency of flavour and – of course – its sweetness. He’s pumped to have it in the house for you to enjoy. Let us know when you’ve tasted it and share notes! You can get your El Socorro packs from our cafes or through the online shop.